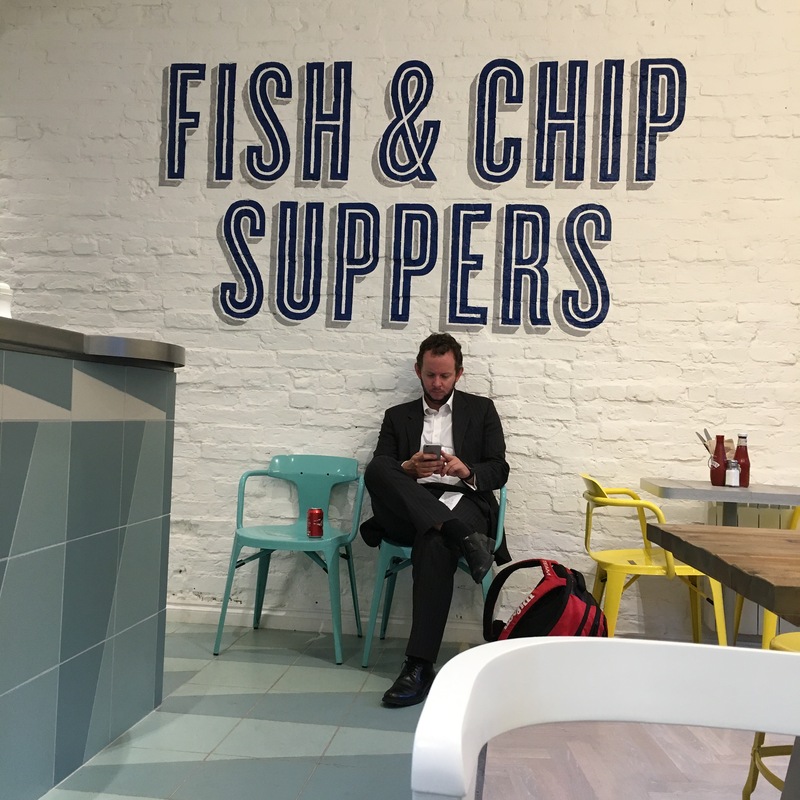 We’ve missed having a fish & chip shop in West Didsbury, being as spoilt as we’ve been with the fabulous Frankie’s Fish Bar and more recently, Fish Bait. But now we have a new kid on the Burton Road block, in the shape of Ida’s. 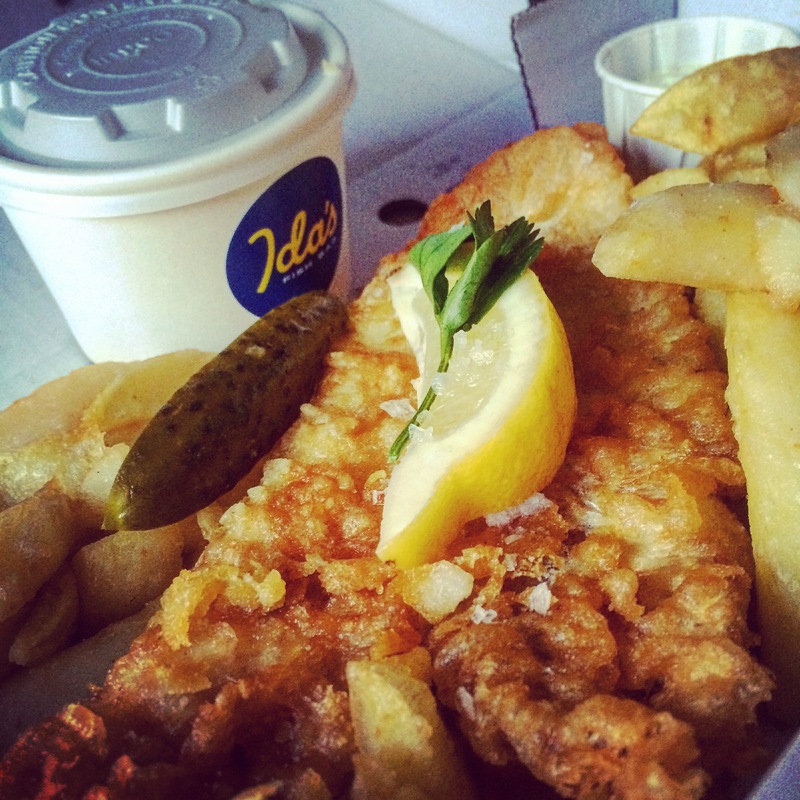 Named after the owner’s grandmother, who owned a fish & chip shop, Ida’s promises sustainably sourced, fresh British fish cooked in Ida’s homemade batter as well as some very interesting menu items if you fancy a change from cod and haddock. Seabass Ceviche, Tacos, Salad Boxes, the intriguing sounding Ahi Poke (a Hawaiian tuna staple according to the menu), some of which are also Gluten Free. 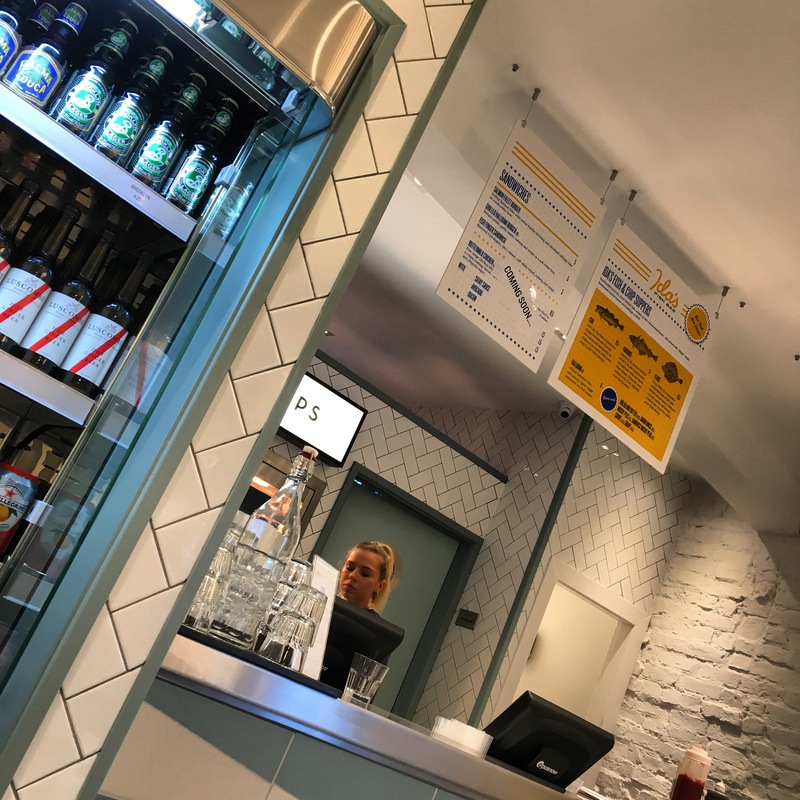 The interior has been completely revamped – it’s bright and fresh and attention to detail is lovely. There’s indoor and outdoor seating, and with an alcohol license is perfect for eating in, as well as taking away. Although a bit more pricey than lots of fish & chip shops, that old adage of “you get what you pay for” is very true. 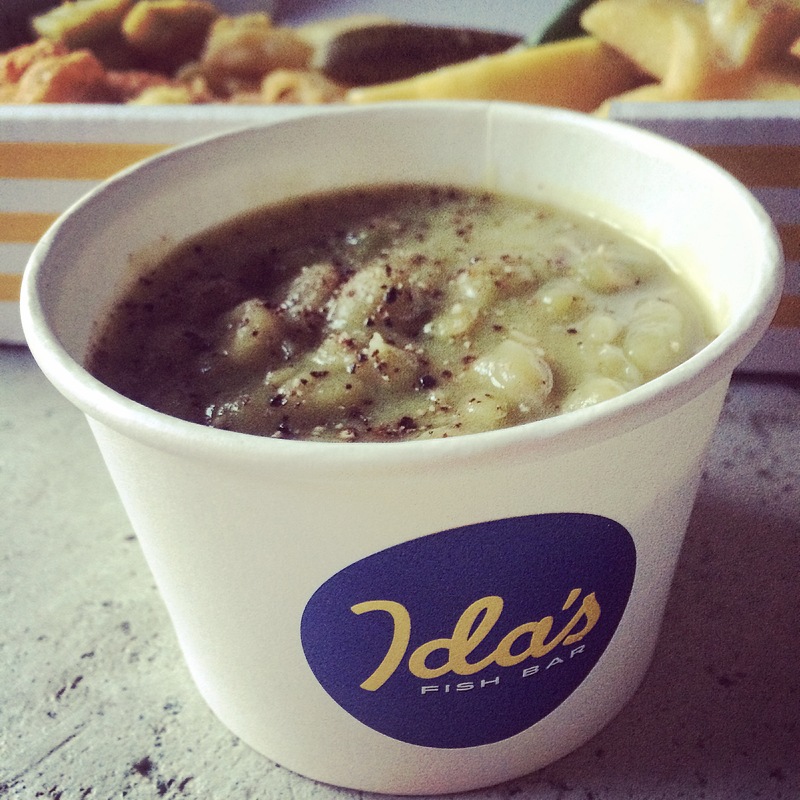 The food we had was definitely restaurant standard and I’m yet to read/hear anything that isn’t excellent about Ida’s. 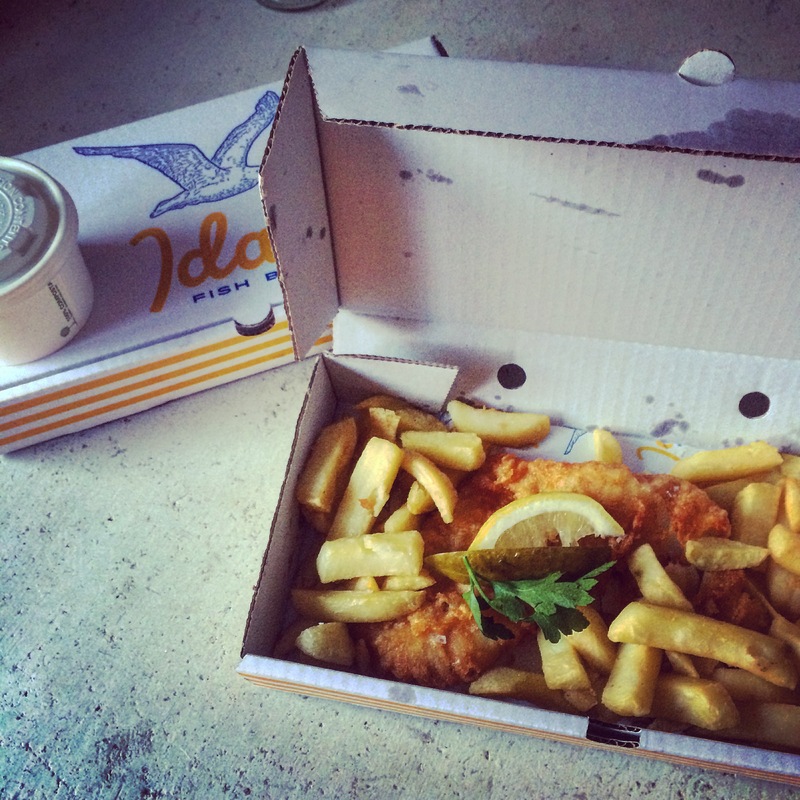 And a bonus if you hate washing-up – it’s all served in recyclable cardboard boxes. I call that a result! Ida’s is located at 178 Burton Road, West Didsbury, next door to Reserve Wines and is open Monday – Saturday 12 noon – 10pm.